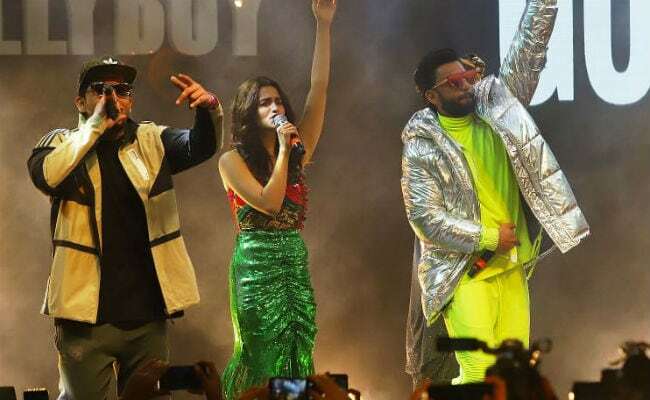 Gully Boy stars Ranveer Singh and Alia Bhatt stopped Mumbai traffic on Thursday evening with the music launch of their forthcoming film. 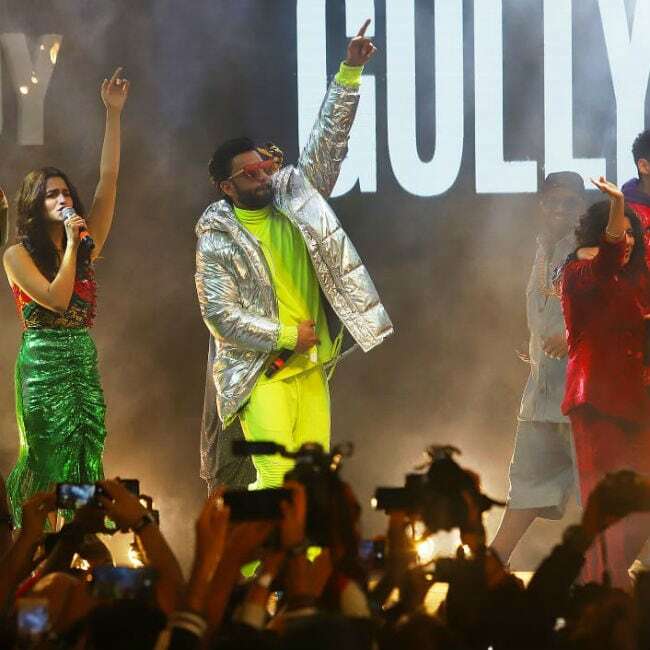 Ranveer and Alia performed to the songs from their film and were joined by rappers Divine, Naezy and others on stage. The pictures from the launch have taken over the Internet and #GullyBoyMusicLaunch is one of the top trends on Twitter today. At the event, the jukebox of the film was released on YouTube. 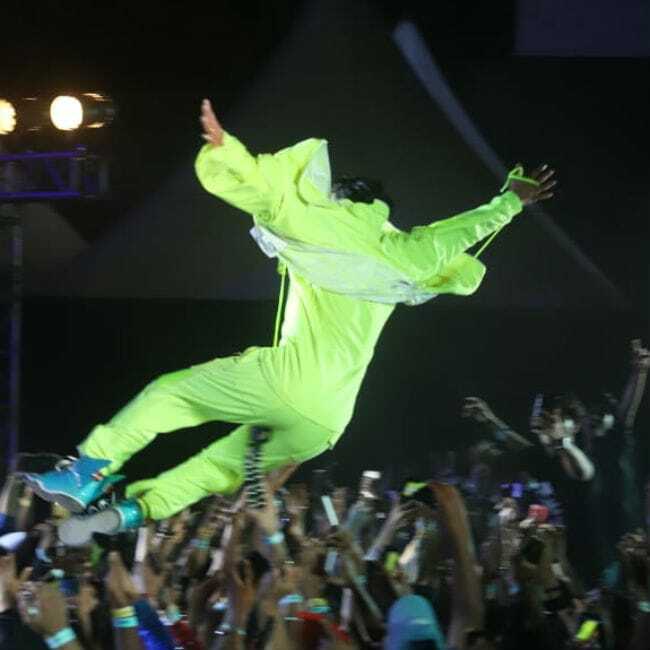 Ranveer rocked a silver jacket and neon separates and sung Apna Time Aaega to loud cheers from the audience. 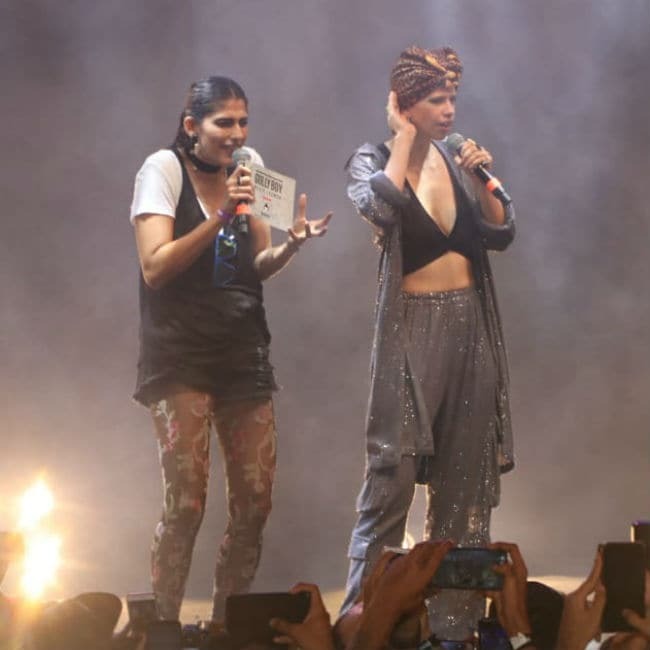 With Alia, the crowd chanted Gully Boy repeatedly. 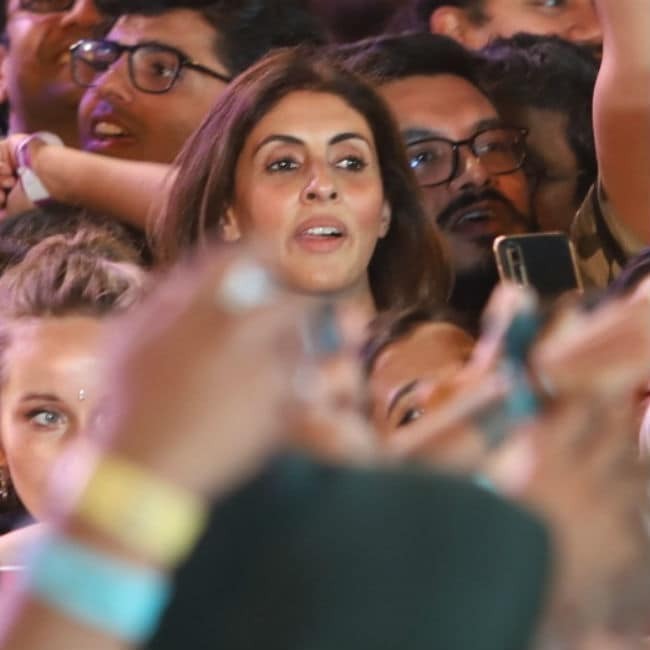 Shweta Bachchan Nanda, a close friend of Gully Boy director Zoya Akhtar, also came to support the team. 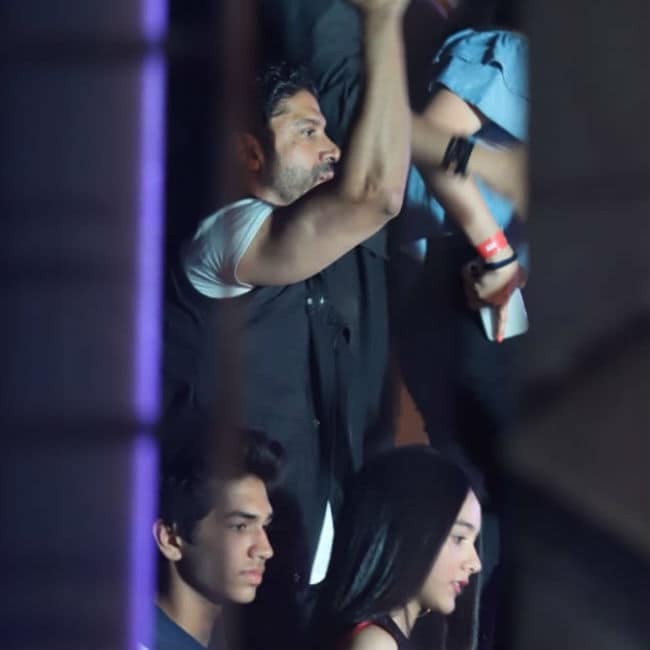 Gully Boy co-producer Farhan Akhtar (Zoya's brother) was also there. 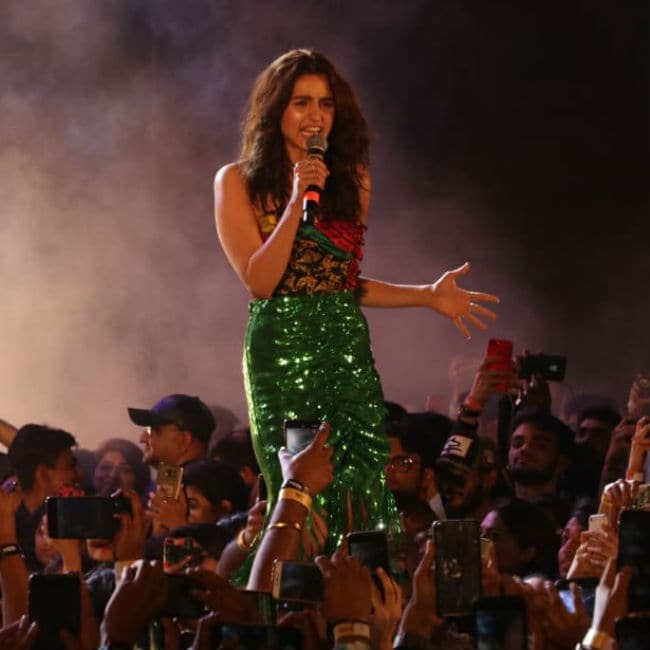 The event was hosted by Sacred Games actress Kubbra Sait. In Gully Boy, Ranveer plays a budding street rapper from the slums of Mumbai. He has sung several songs in the film, including Apna Time Aayega , Asli Hip Hop and Mere Gully Mein, which have been released. "Hip-hop is something that's very alive inside me and always has been ever since I was a kid. I have a natural affinity and inclination towards it and I was thrilled to be in Zoya's Gully Boy because I had always wanted to do such a film," Ranveer said in a statement to news agency IANS.